When I bought my very first corset, I thought I was pretty much set. Some accessories like liners are obvious, but there are certain accessories that have made my lacing MUCH easier. This is a list of objects that I never knew I needed until I had them. Before I had access to one of these, I managed tying up my corset by looking behind my shoulder in the bathroom mirror, or just going by feel. It works pretty well, but every so often I might end up with one bunny ear longer than the other (a pet peeve of mine) or worse, if the gap in the back of my corset were accidentally twisted or not parallel because I could only see behind me on an angle! 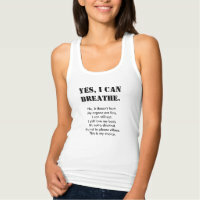 And what if your neck isn’t that flexible enough to look behind you? This flexible mount mirror is designed so you can see the back of your hairdo, but it also makes your life MUCH easier when you need to tighten your corset, as you can see exactly what you’re doing with no neck strain, and you can use both hands to work with the laces. 2. Spare laces. Lots of them. Alright, laces aren’t exactly “non-obvious”, but many people think you only buy new laces when you want to switch up the color, or when you don’t like the ones that came with the corset. Don’t wait until you need new laces. I have snapped them before. It’s not impossible. It’s also not fun, especially on the day of a special event. And corsets aren’t exactly the type of garment where you can simply tie the two broken ends together and be on your way, because it’s difficult to tighten a corset with a giant knot in the laces (not to mention these laces have an incredible amount of tension on them and if you don’t tie the knot properly, it can loosen on itself at a very inopportune time!). I highly suggest having a pair of backup laces to avoid Murphy’s Law. If you don’t live near a fabric/ notions store like FabricLand or JoAnn’s, try a place online that sells laces. I like the polyester flat braided laces from Timeless Trends (I can also get you an extra pair of laces when ordering a longline or Gemini corset through me); or the double-face satin laces through Strait-Laced Dame on Etsy. Whether natural sea sponges or thick makeup sponges, these have come in so handy that I can’t even. Sometimes I have a corset with a busk that is just at that length that the top edge of it digs into my solar plexus. Sticking a sponge under the busk or a bone can help take the edge off steels digging into your skin. Or sometimes I feel a sore spot coming on, so I’ll pad slightly around the sore area (but directly not on top of it, so that the corset is “pushed away” from the injured area). Or sometimes (rarely) I’ll have a corset that’s wider than usual in the hips for me, and I don’t want that loose area to wrinkle and collapse on itself, or (less rarely) I will need some way of evening out the girls in an overbust corset. Do like a cross-dresser and pad out those curves! The sponges are also cheap enough that you won’t feel bad about cutting them to size. You know that you can cinch down more, but the laces are cutting into your hands too much! For all the help that the doorknob may be in getting that extra half-inch of reduction, if you can’t hold that cinch while you’re tying it off, it might be for naught. Maybe it’s just because I spend so much time around corsets, but my hands can get pretty sore when lacing down. You can still feel what you’re doing so you can properly pluck the X’s in back, but when you pull on the bunny ears, they don’t cut into your palms. These would be great for those who work in a boutique that sells corsets, if you lace up customers all day and haven’t yet developed those callouses. For those who are new at lacing up or might have spacial awareness difficulties, and you might not be able to grab onto the “X” in the laces but tend to only pull one side, these charms will keep the “X”s tidy and give you a tactile guide to tell your hands which laces to pull at the same time. Get the charms that hook or clip on, so you don’t have to unthread and rethread the entire corset, and use charms that are big enough to allow the laces to glide freely through them (so the “hole” should be about the same size as your grommets, or bigger if you like. If you don’t like these dangly charms, you can also use large beads that easily clip onto yarn or hair. The color and type is really up to you, but if you’re going by tactile lacing up (if you haven’t picked up one of those mirrors yet), then try to find a set of charms that are different shapes and sizes so you can tell them apart just by feel. These charms or beads can also be pretty when showing off your corset, although they might make “stealthing” a little more difficult as they can add little bumps along the back under thin tops. But many people wear corsets over their clothing – in this situation, wire-free bras are definitely useful. I’m not putting a photo of any specific bra style here because all women are different and have different needs. If you’d like to know which wireless bras I’ve tried with my corsets, you can see my reviews on the Genie Bra, Underworks chest binder, Enell Sports and Enell Lite bras, and the Knixwear Evolution bra. What are your non-obvious “can’t-live-without” items when it comes to making your corseting easier? Tell me in the comments below! “Tiddly” links and Amazon links are affiliate links. 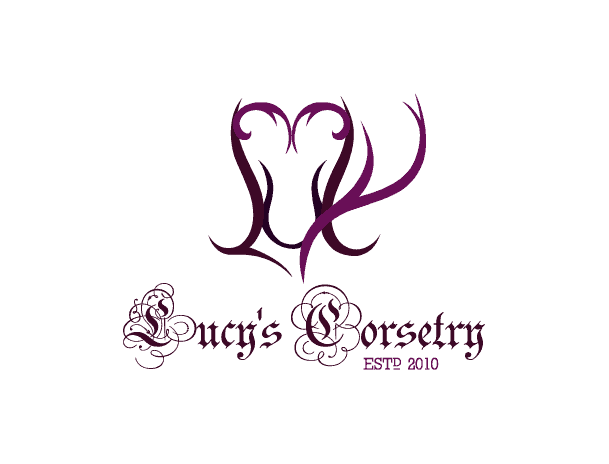 They do not change the price for you, and your use of these links help support Lucy Corsetry and keep this site going! Can’t wait for the day when I have a corset and all these awesome accessories to go with it! I’m soooo gonna try the sponge trick with my corset. I have an odd pinch point on my right side that I just can’t seem to work out. It’s been bugging me no end since the rest of the corset is comfy. i concur, the hinge mirror is essential, have not had lace problems although i do have a spare I could take from another corset, the sponges are a great idea as I’ve been using expensive medical stick ons for hot spots and busc ends, I use the door knob and walk away while looking in the mirror, no hard pulling with the hands!